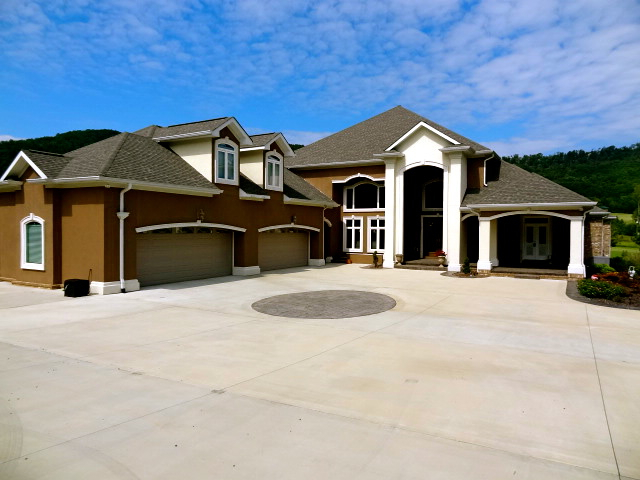 This custom built home is situated on the 13th green of the Trenton Golf Club with stunning views of the golf course, mountain and valley countryside. 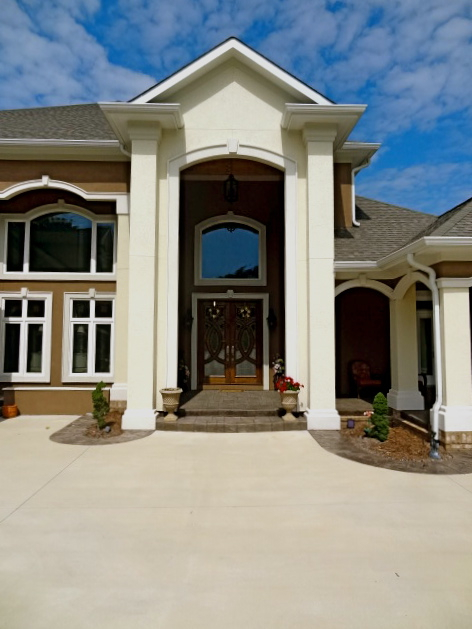 The grand front entry sets the expectation of impressive & high end details this home offers with gorgeous wood & glass custom front doors. An airy & open floor plan welcomes you as you enter into 2-story foyer & great room with rear wall of windows overlooking pool & golf course and gas log fireplace. 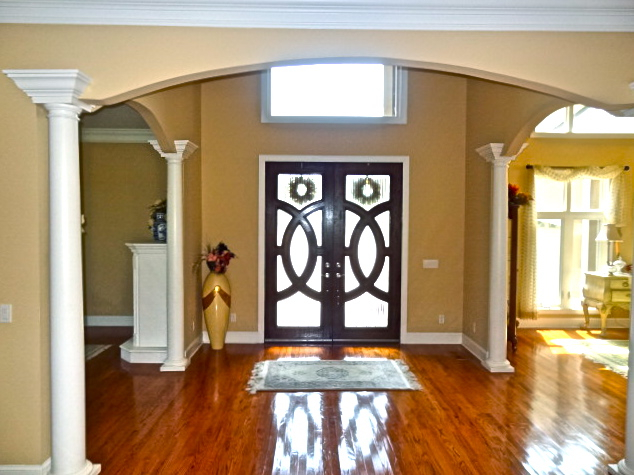 A parlor and formal dining room are off the foyer area and open into great room. The living area offers ample natural lighting and flexible space for gatherings, entertaining, and everyday life. 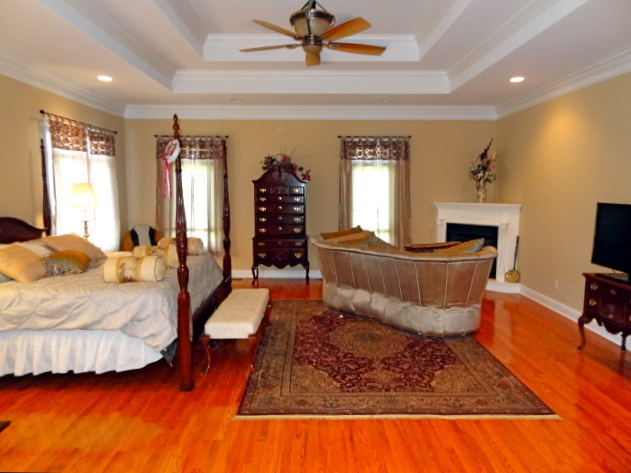 The master suite wing of the home is located on the main level. Expansive suite features sitting area with fireplace, recessed lighting and elegant spa-like master bathroom. The master bathroom features a walk-in tiled shower with multiple shower heads and a whirlpool spa. 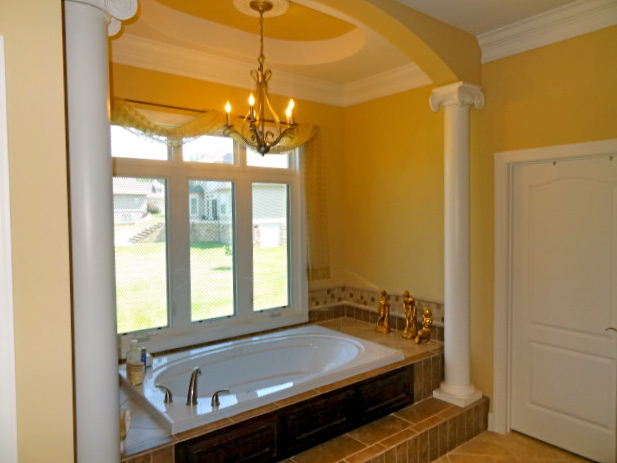 The master bath also features plenty of space for two, including two separate vanity areas, and a huge walk-in closet. You can also stay warm on cold mornings with the built-in electric wall fireplace! 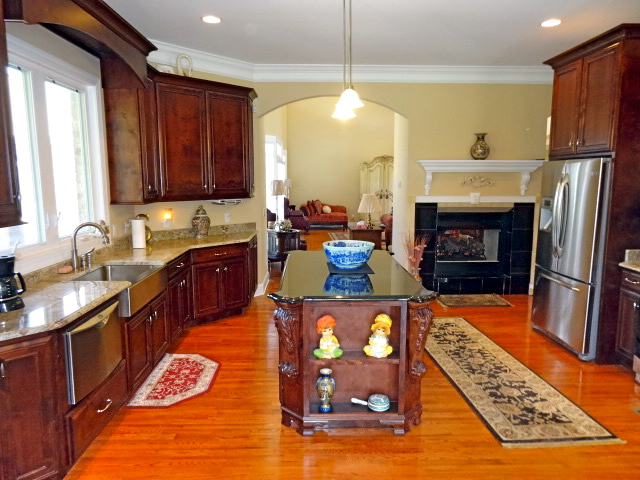 This home features two kitchen areas - a gourmet prep kitchen and a breakfast kitchen. 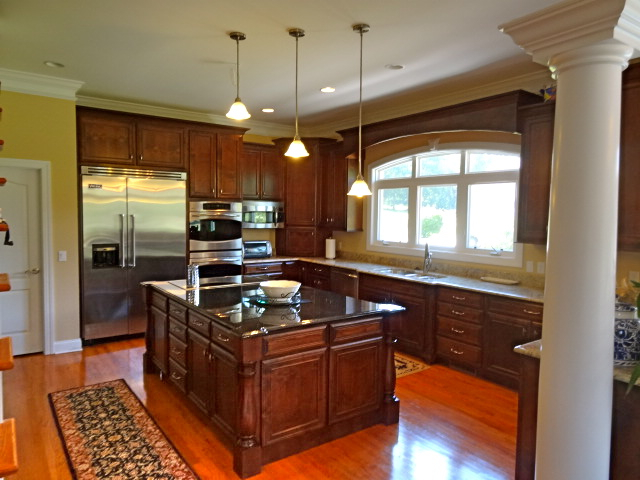 Both kitchens feature granite countertops, custom cabinetry and stainless steel high-end appliances. Also, there are two pantries, a wine chiller, and a wet bar. 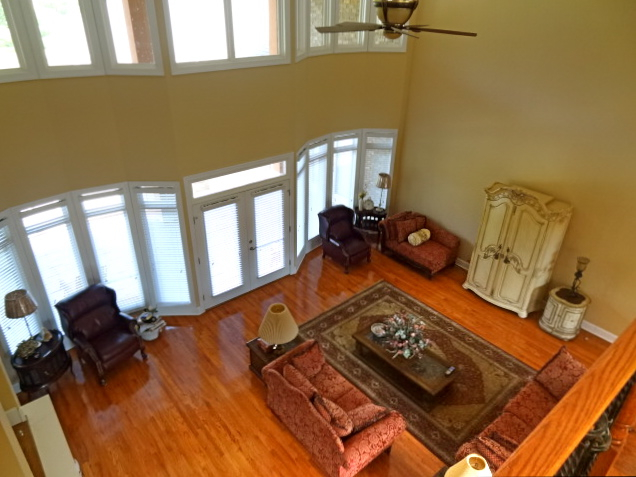 A double fireplace opens through to the great room, and a large breakfast area surrounded by windows with views. Outside there are a variety of areas for entertaining and leisure. 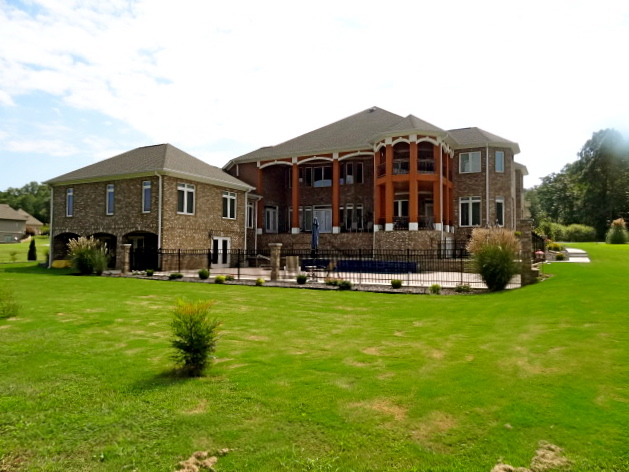 In-ground 14' x 28' pool with a waterfall, an open concrete patio area, covered veranda, and stacked covered porches overlook the pool and golf course. There is an unfinished pool house area on the lower level which could add another 1,800 square feet of living space. This area has a bathroom, is plumbed for kitchen, and would be perfect for a recreation room, just add a pool table & a wet bar! The area would also be perfect as a guest house or in-law suite. The second level of the home has three spacious bedrooms, two with en suite bathrooms, a third hallway bathroom and a massive bonus room. 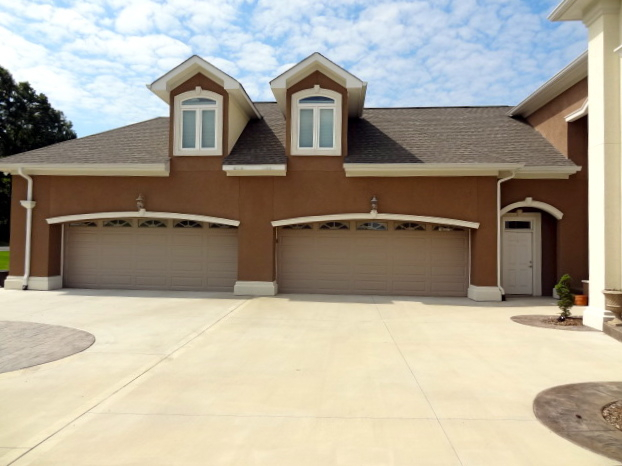 The home also features unbelievable storage including 4-car garage and workshop area. Quality construction features include superior insulation, 2 tankless water heaters, 13 1/2 ton zoned heat and air systems, stamped concrete on front porch, side veranda, and rear patio areas, wood blinds, extensive wood trim & mouldings, large storage area upstairs, and ornate columns throughout main level. 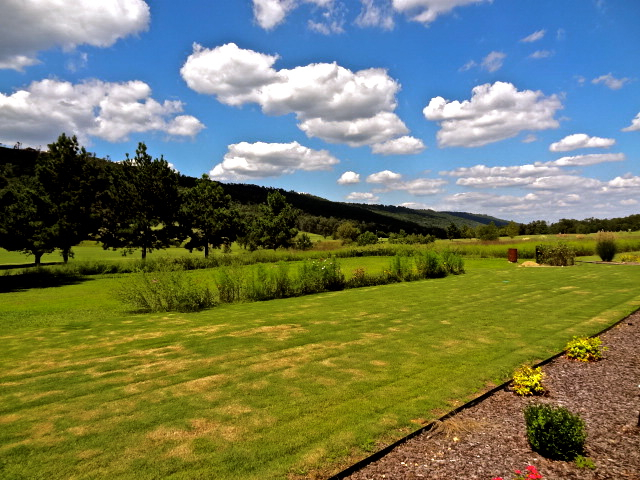 Located in Trenton, Georgia within minutes to shopping, dining, schools and Interstate. 20 minutes to downtown Chattanooga and convenient to recreational areas on Lookout Mountain including Cloudland Canyon State Park. The 18-hole "Air Castle" course at the Trenton Golf Club facility features 6,405 yards of golf from the longest tees for a par of 72 . The course rating is 68.9 and it has a slope rating of 119 on Bermuda grass.